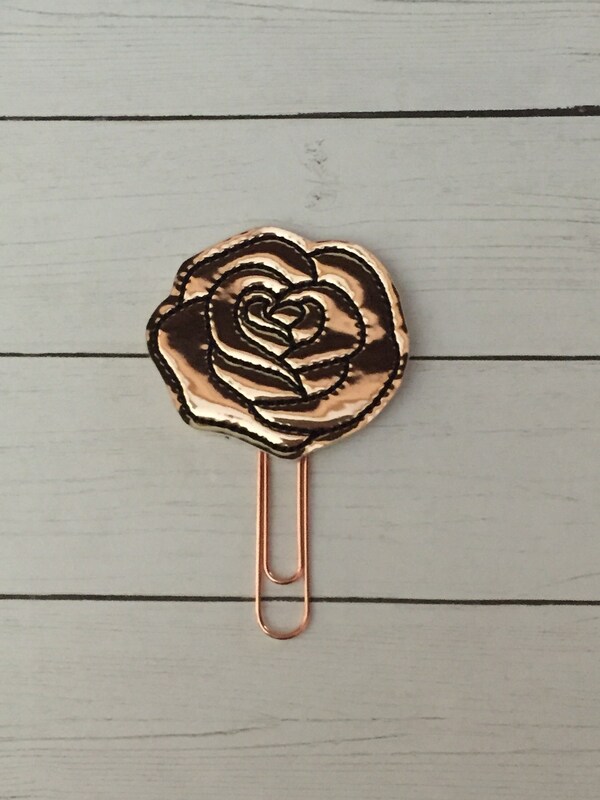 Large paper clip with a rose gold vinyl flower embellishment. I lost money. I never got the product. 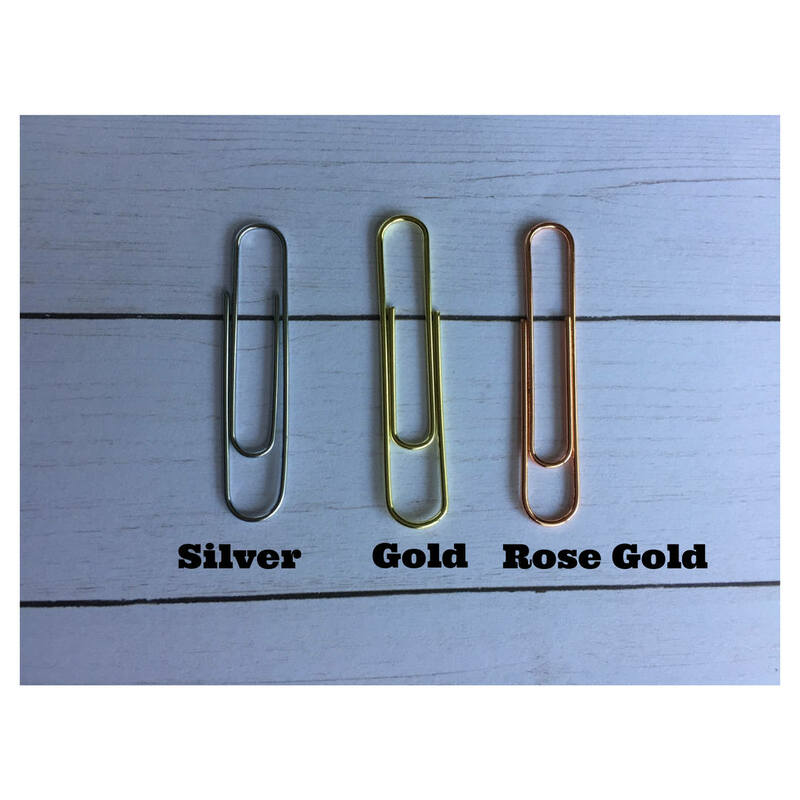 Possible lost mail package.